Home / Closed competitions and winners / Fiona Robyn / Interview / Interview Archives / Interviews by Sassy Brit / Snowbooks / INTERVIEW & GIVEAWAY! 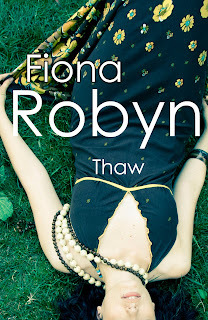 Fiona Robyn THAW! INTERVIEW & GIVEAWAY! Fiona Robyn THAW! NEWSFLASH: I won and read Thaw! Book Summary: The novel follows 32 year old Ruth’s diary over three months as she decides whether or not to carry on living. What's BlogSplash? To help spread the word Fiona organised a Blogsplash, where bloggers everywhere published the first page of Ruth’s diary simultaneously on 1st March 2010 in an effort to get 1000 blogs involved. Visit Fiona's blog and find out more information here! Interview and Giveaway with Fiona Robyn our Author in the Spotlight! SB: Hello and welcome to AR, Fiona! I'm delighted to have you here as our featured author for the month, and it's my pleasure to interview you. I have so many questions, having read two of your books, so I'll try to keep them down to a sensible size and get started straight away! Since the latest book I have read is Thaw, and you are doing a big BlogSplash Promo for this, can you please give our readers a brief summary of what Thaw is all about? SB: I found Ruth to be a delightful, down-to-earth character with so many worries, yet so much to live for. If you found out someone was cutting themselves, what would you do or say to try to help them? FR: That’s a difficult question. In my experience as a therapist, sometimes the most important thing is allowing someone to be heard – warts and all – without being judged. But there is no quick fix… I’d encourage them to speak to someone, and also to get some professional help, but I’d also let them know that they certainly weren’t alone. SB: Good advice. Thank you. What made you write a story about someone battling with the idea of committing suicide? FR: I don’t really ‘choose’ my subjects, they choose me. Ruth turned up in my head, and this was her story. But another way of answering your question is that I’ve always been interested in how we make our lives meaningful – how we live well. For Ruth, this question is more urgent than it is for most of us. SB: What research did you need to do when it came to delving into Ruth's mind? FR: I read about self-harm, and looked online at what is available to someone who’s considering suicide. I hope I checked out my facts, but the important thing is whether the character ‘rings true’ or not, so it’s also important to imagine myself inside Ruth as thoroughly as I can. SB: In Thaw you write Ruth as a keen photographer, and in The Blue Handbag, Leonard is a green fingered gardener. Are you interested in these hobbies yourself, and if so, in what way? FR: I didn’t know anything about gardening before I wrote The Blue Handbag, but since writing the book I was hooked! Leonard provided me with an opportunity to find a new passion, and I’m grateful to him for that. I have always been interested in photographs, but I don’t use them in the same way that Ruth uses them. She takes looking at photos to a whole new level! SB: For those that may have missed it, here is my review of the first book of yours I read - The Blue Handbag. When it comes to portraying a man's point of view, you seem to know exactly what to do and say. Even if poor Leonard gets things wrong from time-to-time! How did you manage to get Leonard's perspective so right? FR: I’m glad you thought so, Sassy. I rely on what I suppose all novelists rely on – a ‘gut sense’ of how their characters might behave. It’s as if I grow a mini-personality inside myself when I’m writing a novel. Maybe I use information about all the men I’ve ever known, but they fuse together into something completely new. It happens very subconsciously. b) a photo signed from Chantelle the Bikini Wearing Trapeze Artist (and neither of you had ever visited a circus) would you be tempted to track down further clues to solve the mystery, just like Leonard did with something he found in Rose's blue handbag? Or ignore it, and hope that nagging feeling goes away? FR: What would you do?! I think I’d be driven to pursue the truth, but it is a difficult question, and one that Leonard wrestles with. SB: Ha! Thank you! Yes, I would. :) Which is exactly why Leonard's story is so compelling! From your experience, how long does it take to write a novel? FR: It takes a year or two, depending on what else is going on in my life, and how disciplined I’m being. SB: What do you really enjoy about writing? FR: I love reading back my final drafts and occasionally thinking ‘that’s a good sentence’ or ‘that feels moving’. I enjoy getting to know my characters. But the best bit of all is when a reader really connects with one of my characters, and grows to love them just as I do. SB: What's your typical working day as a writer like? FR: It varies hugely. When I’m writing my first draft, I can only manage an hour at most – and I spend the rest of my day doing marketing and my ‘day job’. When I write later drafts I can spend more time writing. Between novels, I don’t do much writing at all. There is always plenty to be done – tax returns, maintaining my blogs, Facebook, doing interviews! SB: Well, we like to keep you on your toes! 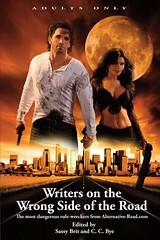 Any good advice to share for an aspiring writer of fiction? FR: Read, read, read. And then write, write, write. And don’t give up. SB: Can you please share your philosophy on life? SB: Do you have a Banoffee Pie recipe you can share with our readers? I hear it's your favourite and it sounds just my sort of thing! FR: Here’s a simple recipe: http://www.bbcgoodfood.com/recipes/8183/banoffee-pie Personally I prefer digestives for the base. Warning – you need a very sweet tooth to love banoffee pie as much as I do! SB: Oh, I have. Don't worry about that! Thank you for sharing. FR: : ) Maybe… I have two reasons for giving Thaw away. The first is that as writer, I want as many people as possible to have the opportunity to read my books. The second is that I hope it might help me to pay my rent in the long run – maybe people will want to know the ending and so buy Thaw before the three months is up, or maybe they’ll look up my previous novels. We’ll see! SB: Again, it's been wonderful chatting with you. Good luck with Thaw and any future sales you have. I hope you enjoy your stay here with us on AR. I'm looking forward to featuring you more, and have a few more tricks up my sleeve to come! FR: Thank you Sassy, it’s been a pleasure. You do fantastic work here. Ooh, more tricks eh - intriguing! QUESTION: What are you most grateful for in life? That's it. Good luck! As usual you may comment on the review, Tweet (@Sassy_Brit), Digg , add this comp to your blog, sign the AR Guest book! use the "Share This" button, etc, just come back here to let me know you have - for extra entries. Now you can even follow us on google Buzz and Buzz an entry over to us! It's even quicker than tweeting if you have gmail. Thank you! Howver you spread the word, just come back and let me know. Have a glorious day, and thanks for stopping by! This book looks so interesting! Thanks for the chance to win a copy. I am a follower, and was part of the Thaw Blogsplash. I still have not read this book though and would love a chance to win. Thanks for commenting on my blog for SWS. Congrats on winning the book. It sounds intriguing, and I'd like to win it, too. Have a great weekend! I really enjoyed the essence of this novel. It takes on very important questions in an atractive way. I think I will enjoy reading it. Congrats on the win! Looks like an interesting book. To answer your question, I think that what I am most grateful for is good health. This is something we so seldom give any thought to until we come across someone who is suffering from the lack of it. I would include mental health in this as well. Interesting interview, if a bit short perhaps. I'd love to enter the giveaway! Thanks! The one thing I am thankful for is my almost perfect health. Nothing serious just 10 aggravating health problems that drive me up a wall sometimes. LOL.. I am reading the book via Facebook and would love to get my hands on a copy so I can find out how it develops a little quicker. Keep up the good work. I am also following AR on Twitter and am publicly following the blog. 5. followed on networked blogs! Personaly, I have had my own trouble on that particular question. I will really enjoy reading this, as catharsis! Hope I get to read the book soon. I am hoping to read it soon, and most of all, to enjoy it!